Specialist periodontist at Ravenscourt Dental Practice, Dr Luigi Nibali was awarded the prestigious ‘IADR Sigmund Socransky award’ from the International Association for Dental Research-Periodontology Group. This award is assigned specifically to investigators under the age of 40. Dr Nibali was chosen based on his significant contribution to periodontal research, as judged by a panel of senior academics. His research has identified genetic factors affecting periodontal disease, links between periodontitis and systemic diseases and showed for the first time how a new minimally-invasive approach to periodontal treatment can stimulate bone re-growth without the need for surgicals. 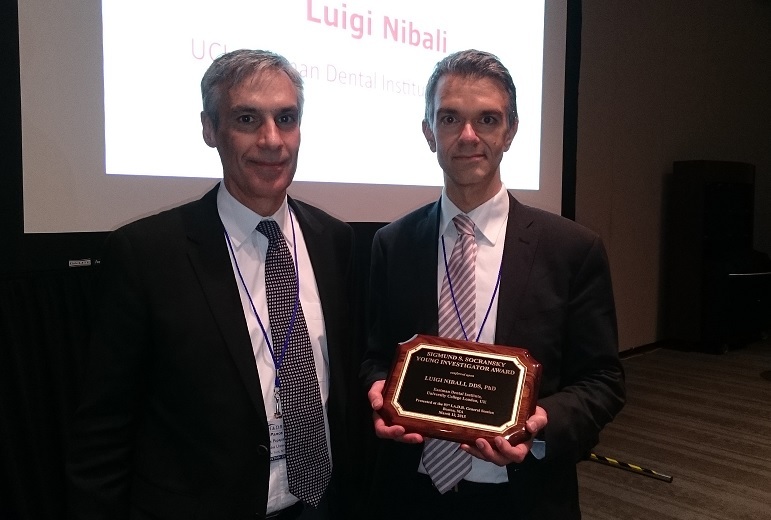 The award was presented to Dr Nibali in Boston during the IADR (International Association for Dental Research) meeting in March 2015, which was attended by over 6000 delegates.